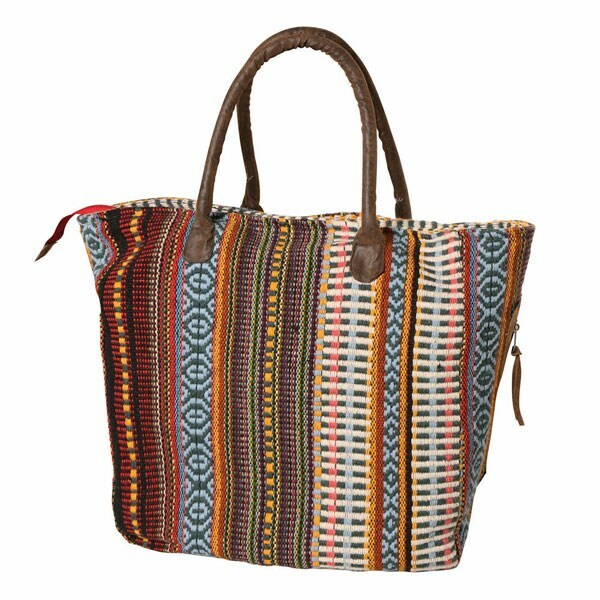 Slouchy and swanky, this roomy tote combines California dreaming with laid-back styling. Deep brown tones match the faux+leather accents; zip close, fully lined and 8" handles plus two inside and two outside pockets. Made of cotton. Imported. 14" x 5½" x 13".